The Placitas Garden Tour, an approved SCMG volunteer project, is an annual ticketed event open to the public from which net profits will benefit the Sandoval County Master Gardener projects and the Placitas Community Library. Tickets may be purchased on the day of the tour, or beforehand from select area merchants. For more information go to www.placitasgardentour.com. Volunteers are admitted free of charge. 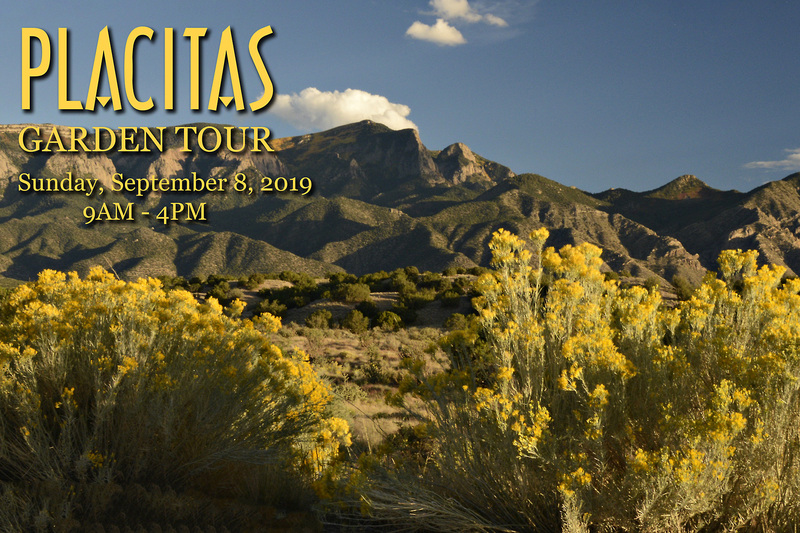 The 2019 Placitas Garden Tour is Sunday, September 8 from 9:00 AM – 4:00 PM. A required group orientation and garden training session with your garden liaison and garden owner(s) is planned for Saturday, August 24 from 9:00 am – 11:00 am. Sandoval County Master Gardeners are desired and encouraged to volunteer as garden docents, horticultural educators, and to promote the SCMG organization on the day of the tour. Volunteer garden assignments, shifts, and garden education preparation will be announced by August 1, 2019. As a volunteer, we ask that you are available for both the 8.24.19 pre-tour/ training date, and 9.8.19 tour date and times. Earn SCMG Outreach hours by volunteering as a garden docent, an educator, and/ or a participant at the SCMG information table on the day of the garden tour. Earn Volunteer hours for your time spent on training and planning for the garden tour. The Placitas Garden Tour Committee is also seeking interested and dedicated volunteers to help select future tour gardens, to lead sub-committees and to help organize and manage the tour and volunteers. Please contact us for more information. This project is open to public volunteer participation as well. This is a community event!